Assange's relationship with his hosts collapsed after Ecuador accused him of leaking information about President Lenin Moreno's personal life. Moreno had previously said Assange had violated the terms of his asylum. 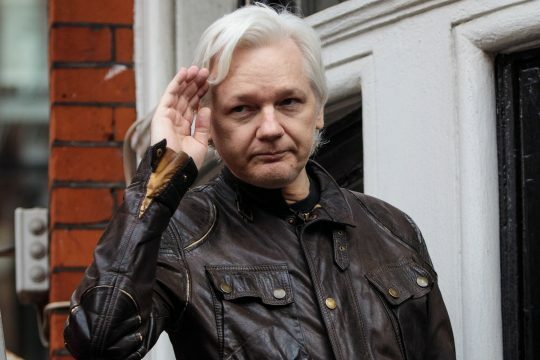 Moreno said on Thursday that Assange's diplomatic asylum status had been canceled for repeated violation of conventions. "The British government has confirmed it in writing, in accordance with its own rules," Moreno said. "The asylum of Mr Assange is unsustainable and no longer viable." Assange was taken into custody at a central London police station and will be brought before Westminster Magistrates' Court later. This entry was posted in National Security and tagged Julian Assange. Bookmark the permalink.